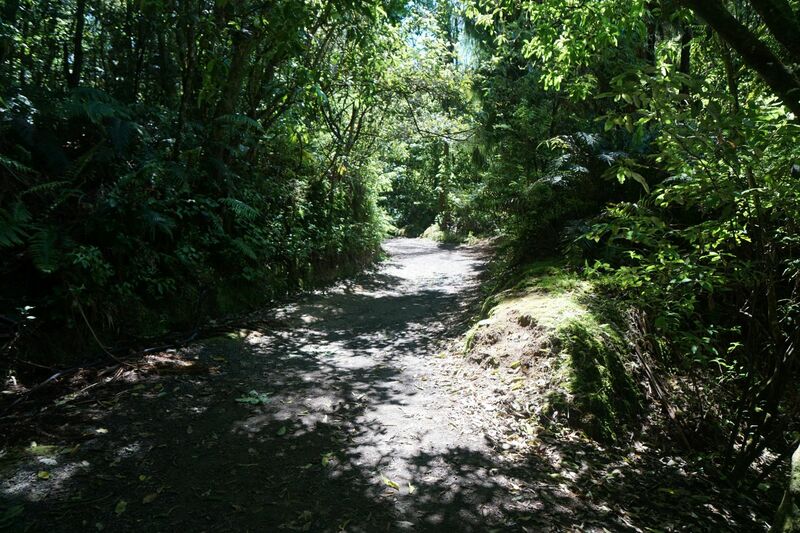 The walking track is about 1.2 km long, with another 200 metres or so from SH33 to the first parking area. 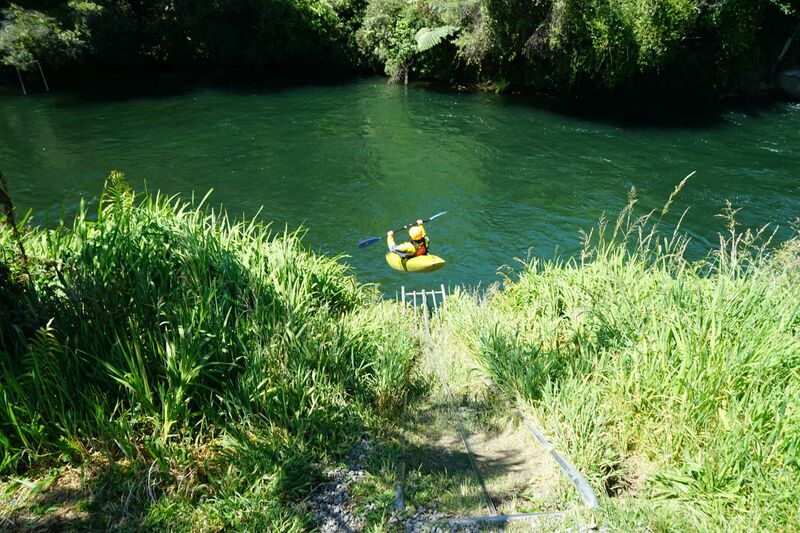 Including the side tracks the total distance from SH33 to Trout Pools is about 1.8 km. The main track can be walked in about 20 minutes. 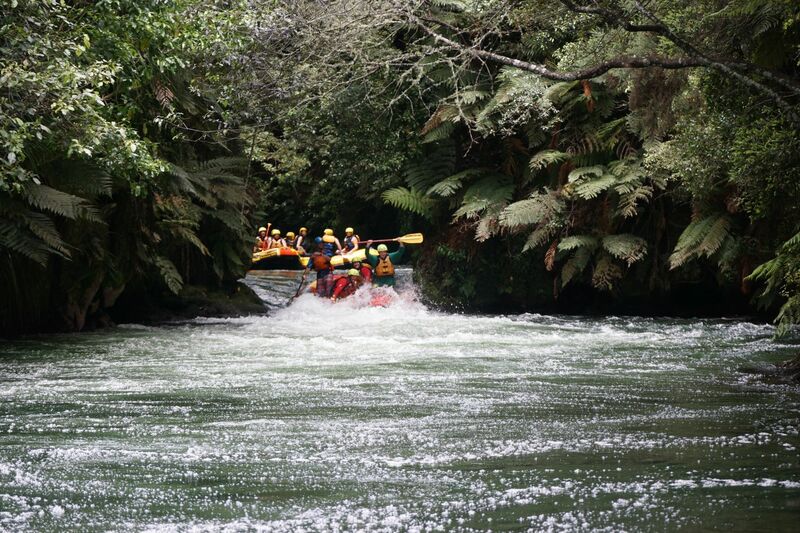 The walk can be made more interesting if there is rafting or kayaking activity on the river. 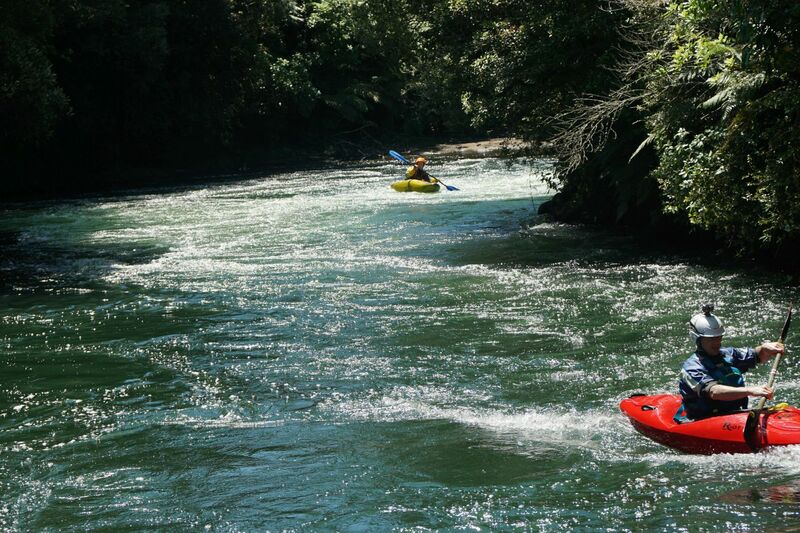 The kayaks and rafts are launched by the control gates, and the end of the run is near the parking area at the northern end of Trout Pool Road. The rafting companies time the runs so photographers can easily keep up on foot, getting photos from the lookouts along the way. 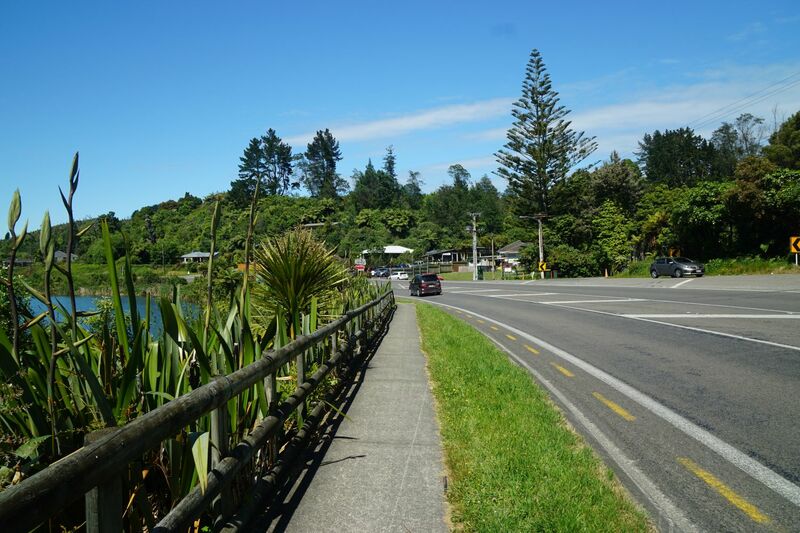 SH33 at Okere Falls village, with Lake Rotoiti on the left. 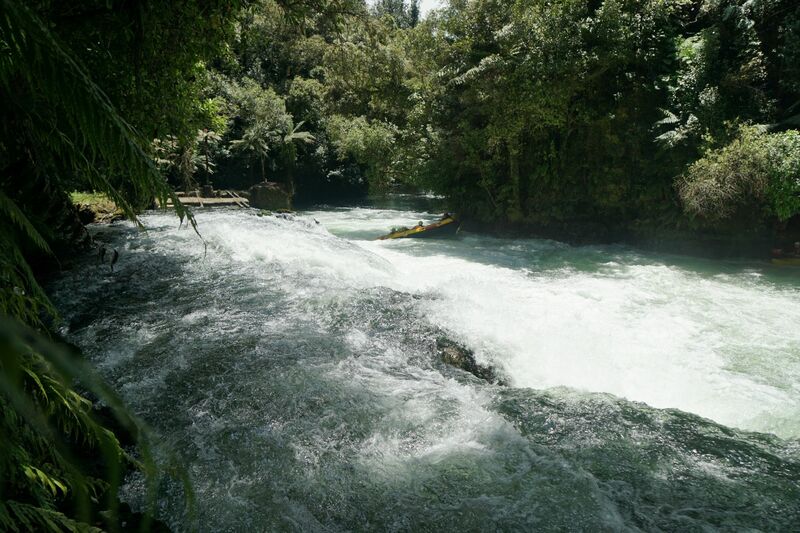 The only outlet from Lake Rotoiti is through the control gates to the Okere/Kaituna River. 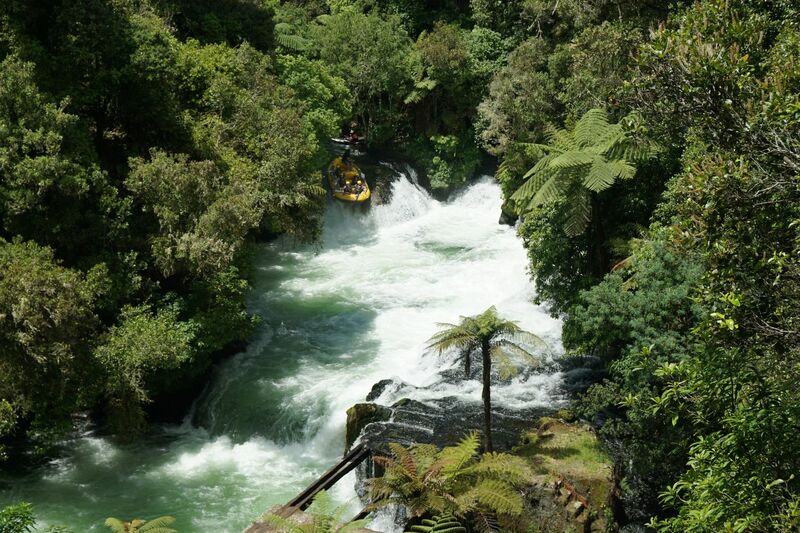 Lake Rotoiti outlet, seen from the bridge across the control gates at Okere Falls. 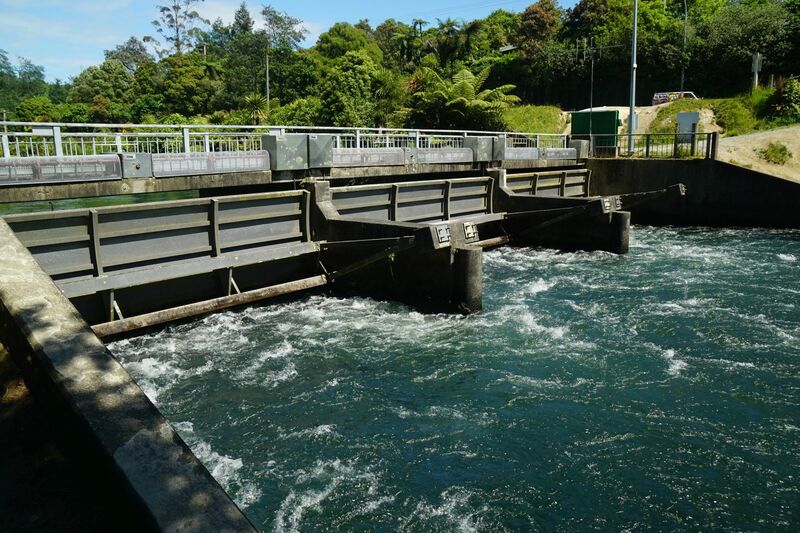 The control gates at Okere Falls, with the Okere/Kaituna River flowing downstream to the right. 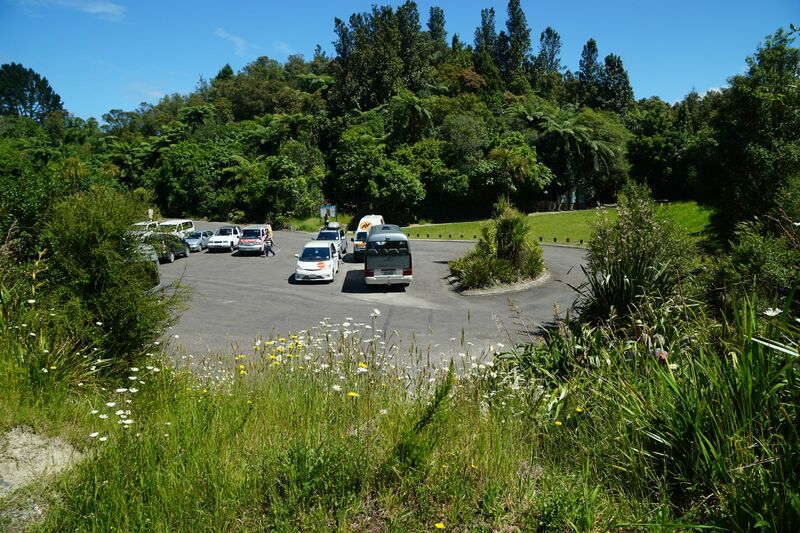 The parking area by Trout Pool Road, at the southern end of the walking track through the Okere Falls Scenic Reserve. with the track starting at the upper right. There are steps leading down to the river behind the bushes at lower right. There are information signs by the carpark, and along the track in several locations. This one by the carpark shows the reserve with places of interest. 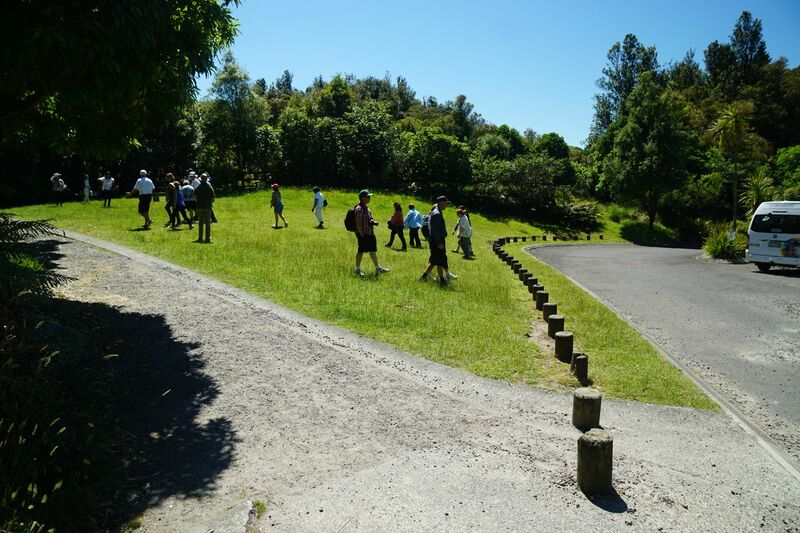 The start of the walking track by the carpark. 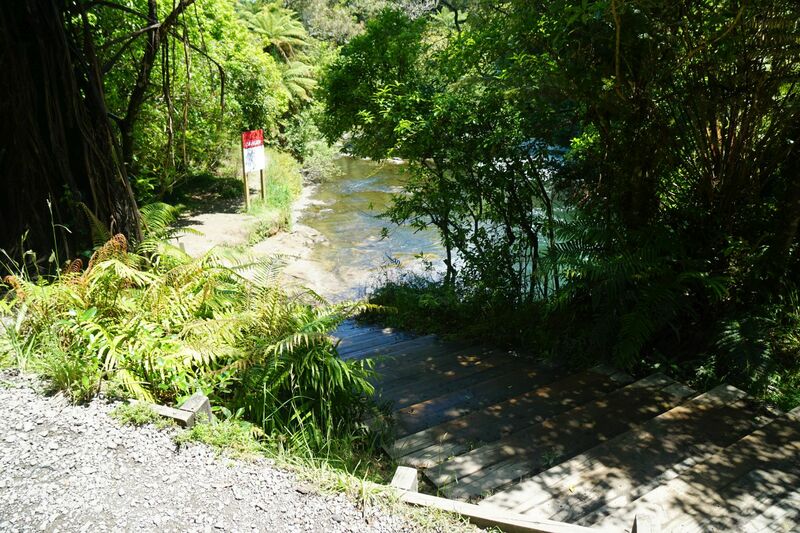 The steps down to the river start by the trees on the far right. The track was busy, due to numerous tour companies with passengers from cruise liners berthed at Mt Maunganui on the day. Okere Falls seen from the bottom of the steps from the carpark. 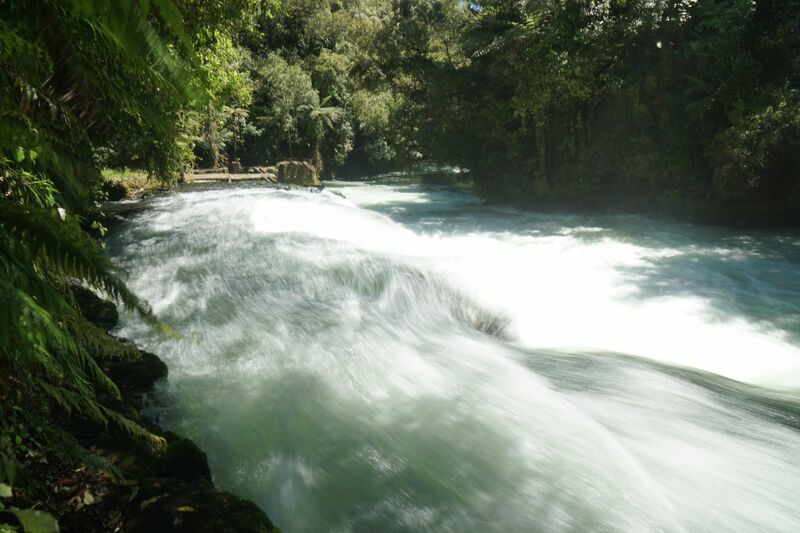 The falls are in two parts, with the channel on the right originally used for the hydroelectric power station which was operational from about 1901 to 1939. 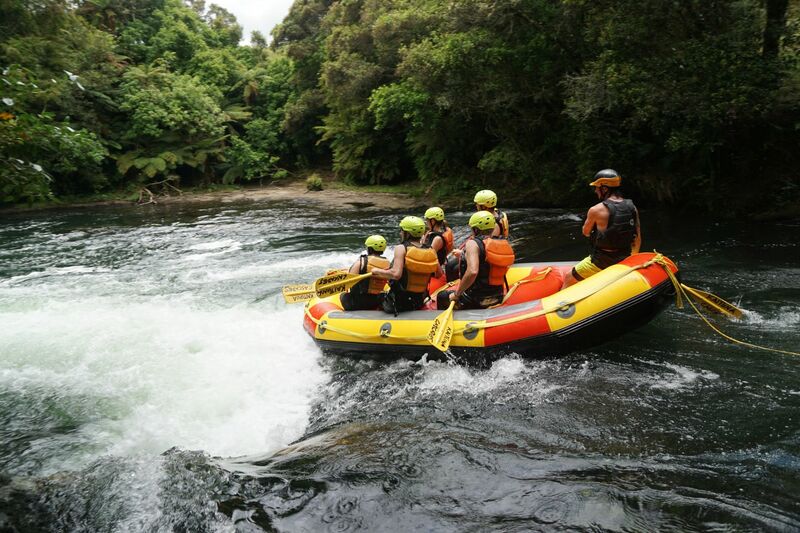 This provided electric power to Rotorua. Looking downstream the remains of the foundations of the power station can be seen on the left. 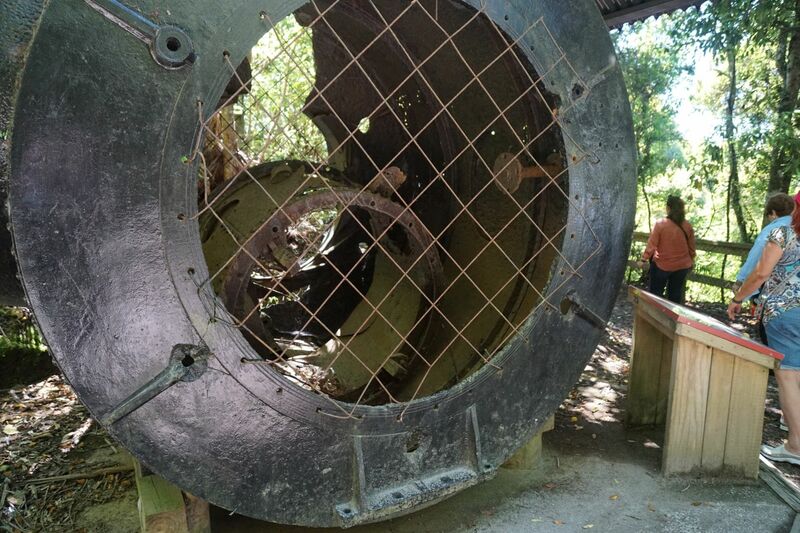 Remains of one of the turbines from the power station at Okere Falls. The short track to the lookout is on the right. 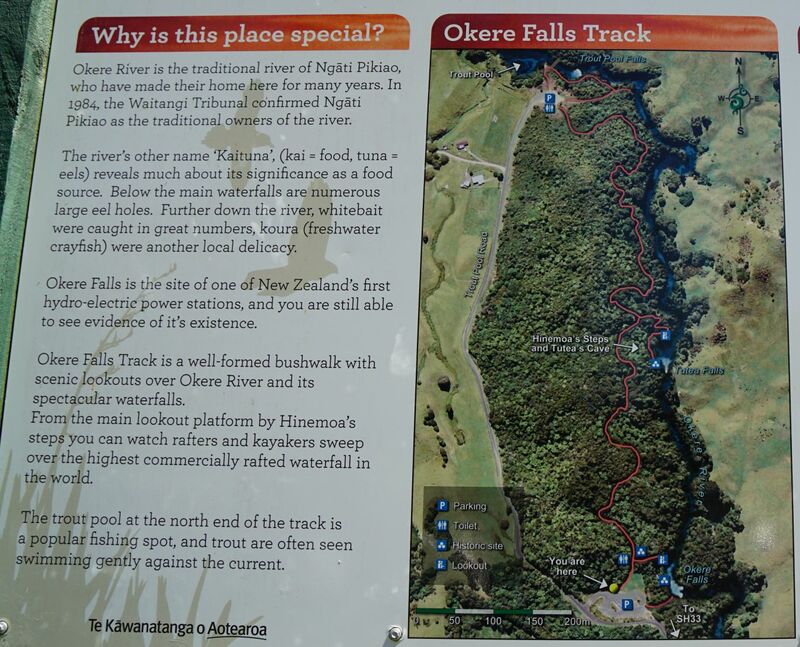 The walking track is wide and easy to walk, especially between the lookouts at Okere Falls and Tutea Falls. 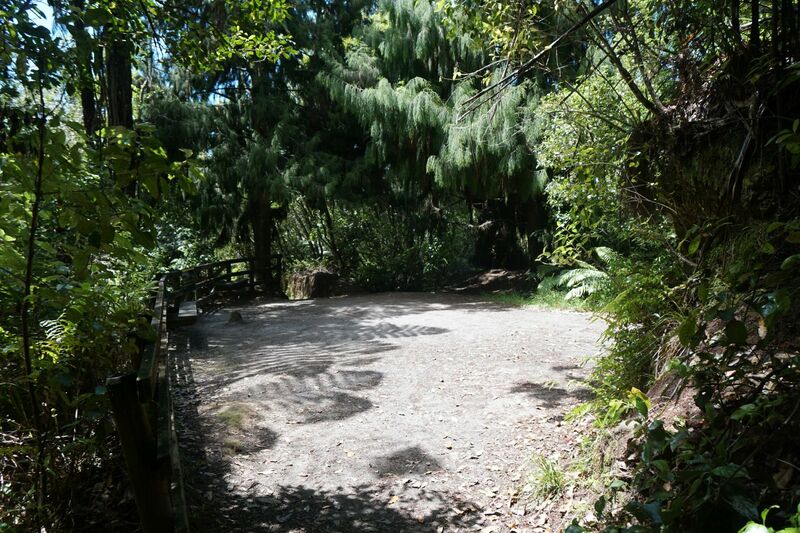 A small clearing has steps leading to the Tutea Falls lookout and Tutea’s Cave. 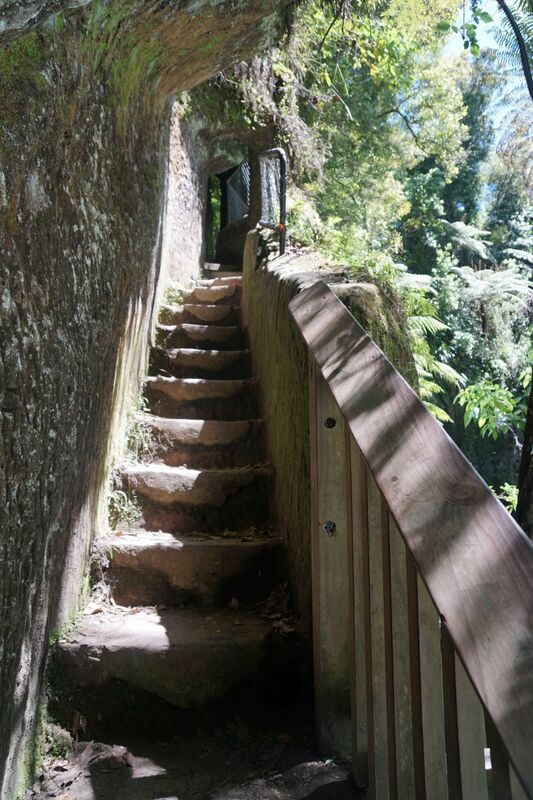 Steps lead from the main track down to the Tutea Falls lookout, Hinemoa’s Steps, and Tutea’s Cave. 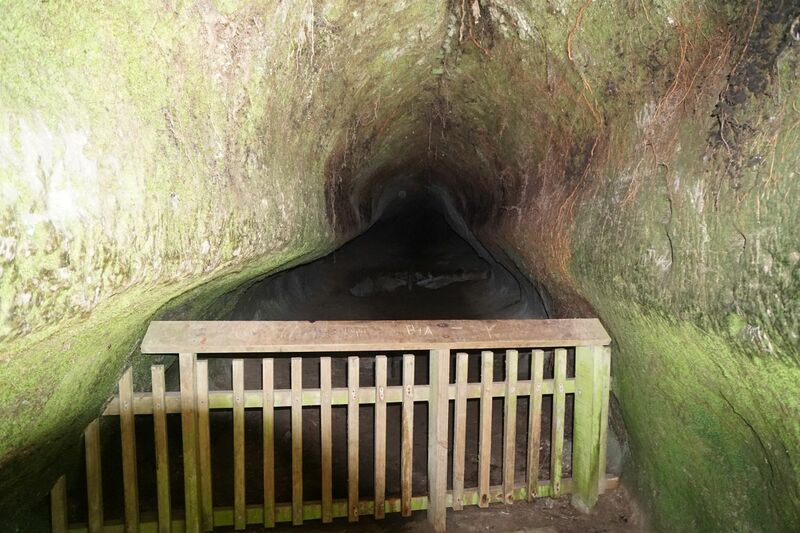 Looking into one of the caves at the river’s edge. 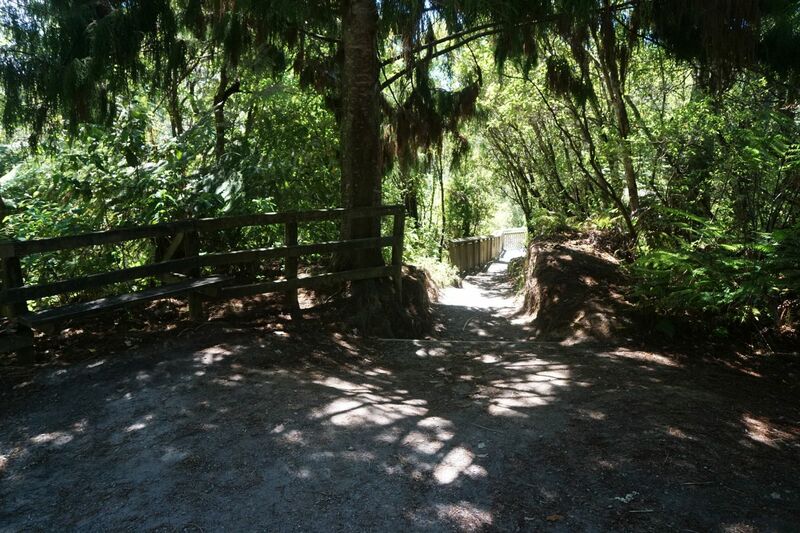 Hinemoa’s Steps, leading up from Tutea’s caves. 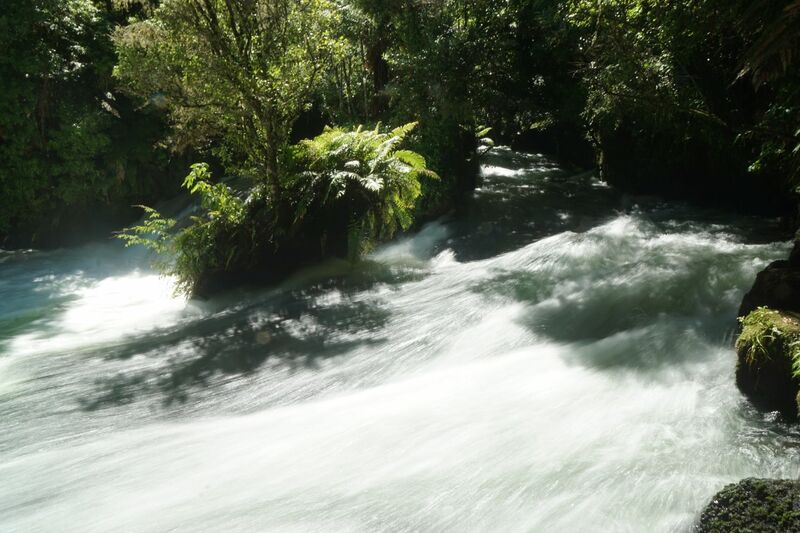 Tutea Falls, about 7 metres high. The caves are behind the bushes on the far right. 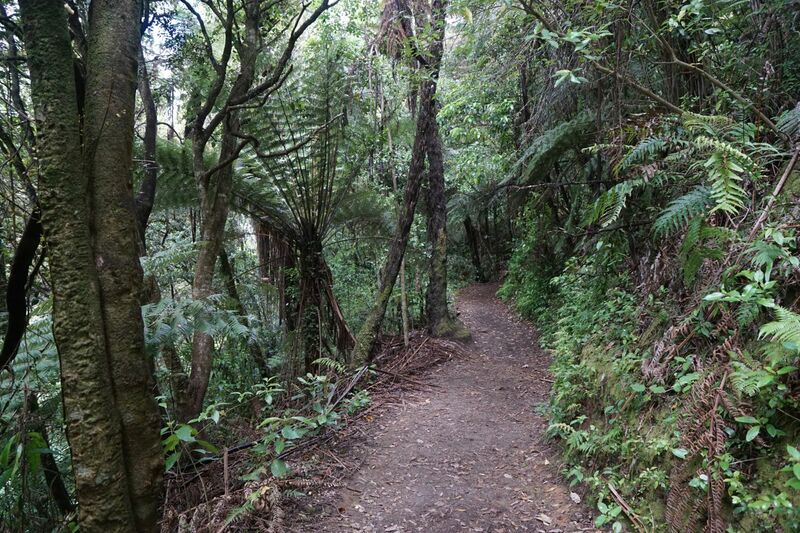 From the Tutea Falls lookout to Trout Pool the track is narrower, but still well formed and easy to walk. At Trout Pool, with the landing spot for the rafts and kayaks. 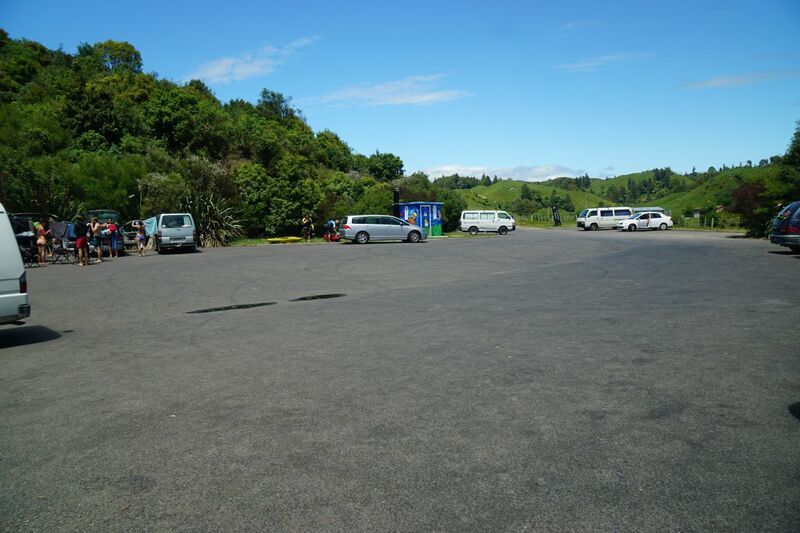 The parking area and toilets at Trout Pool, at the northern end of the Okere Falls Scenic Reserve, and the end point of the walking track and the whitewater rafting trips. 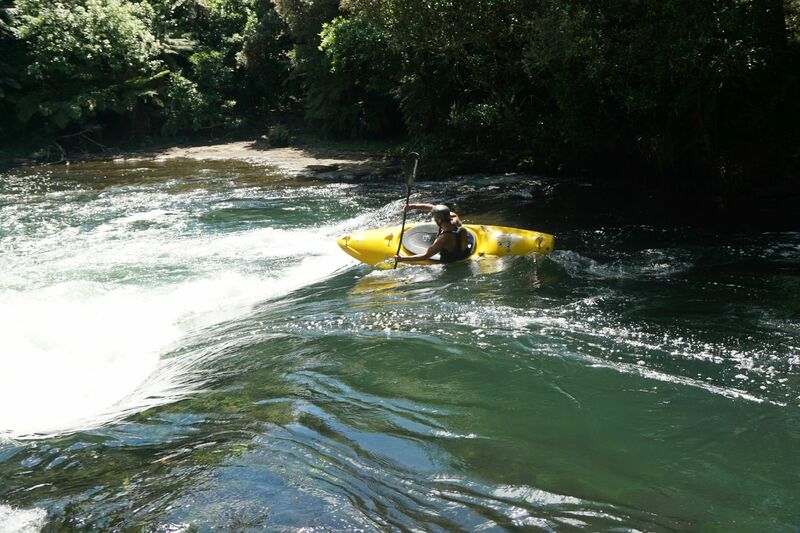 The following photos show some of the kayaking and rafting activities on the river. 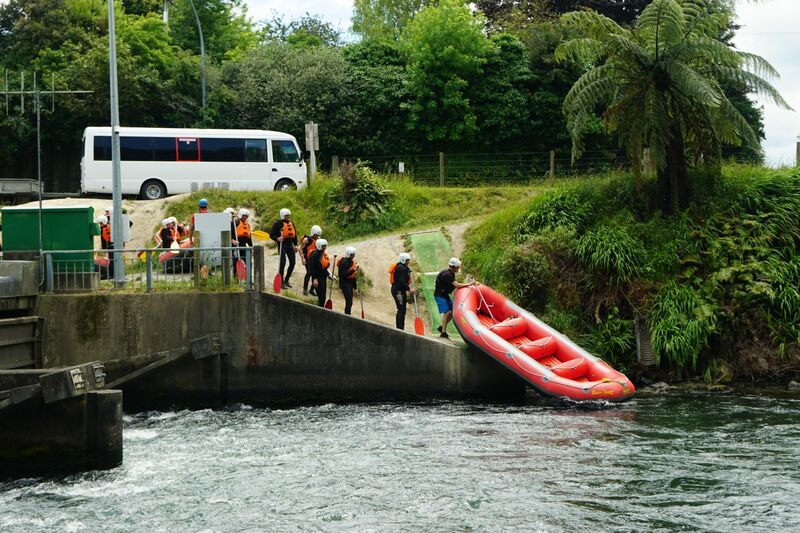 The first ones show the kayak launch ramp by the control gates alongside SH33. 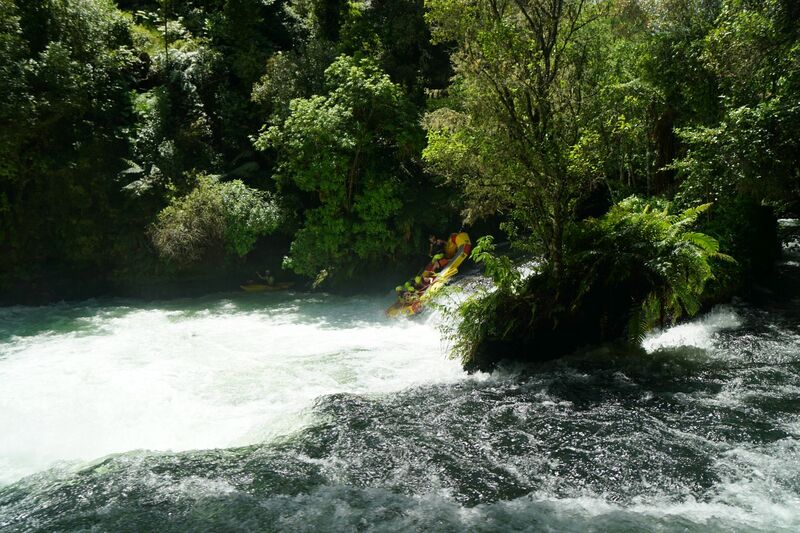 These two kayaks were captured again at the end point at Trout Pool, after navigating the rapids and waterfalls along the way. 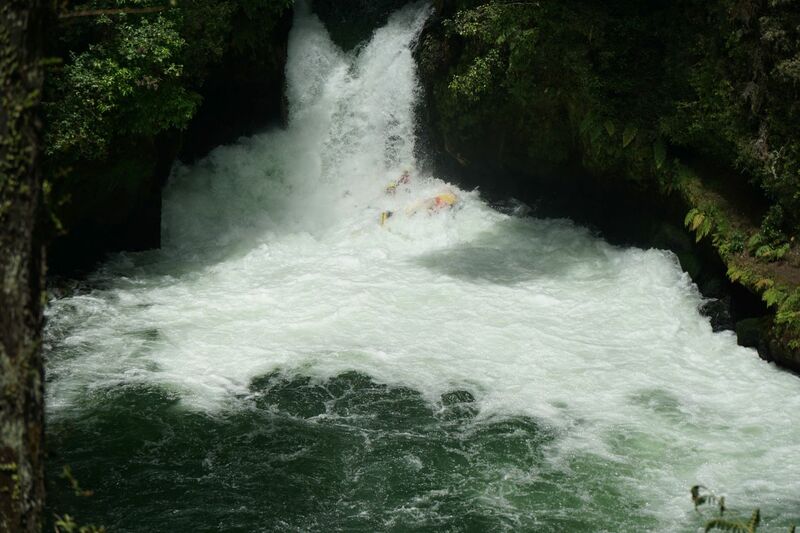 The last small waterfall before the end of the kayak trip. 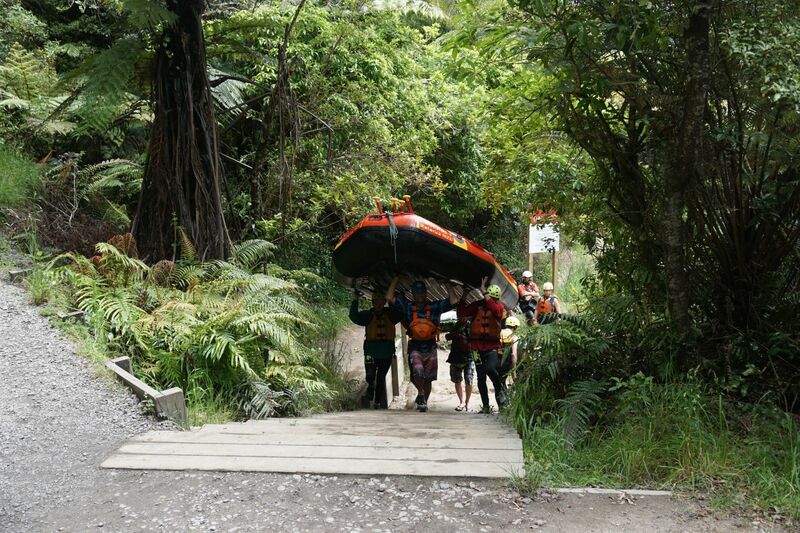 Receiving instruction on land before starting the journey down the river. 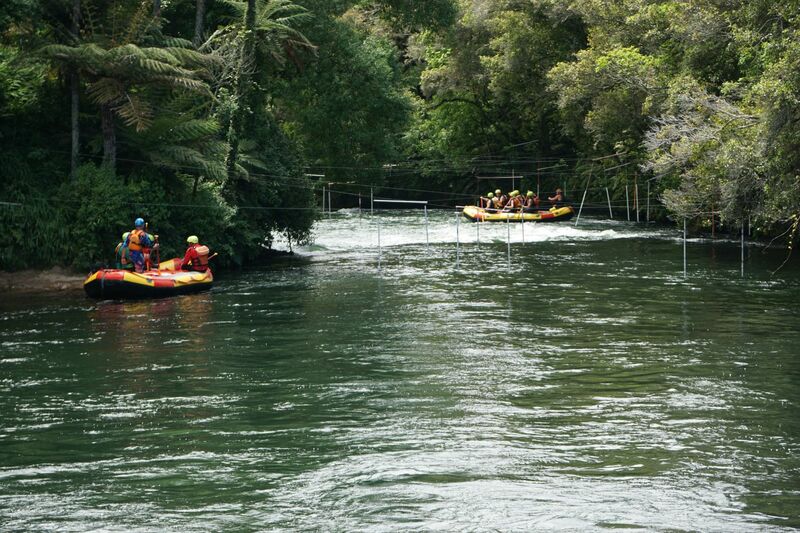 The rafts are launched next to the control gates by SH33. Starting the downriver journey, from the control gates by SH33. 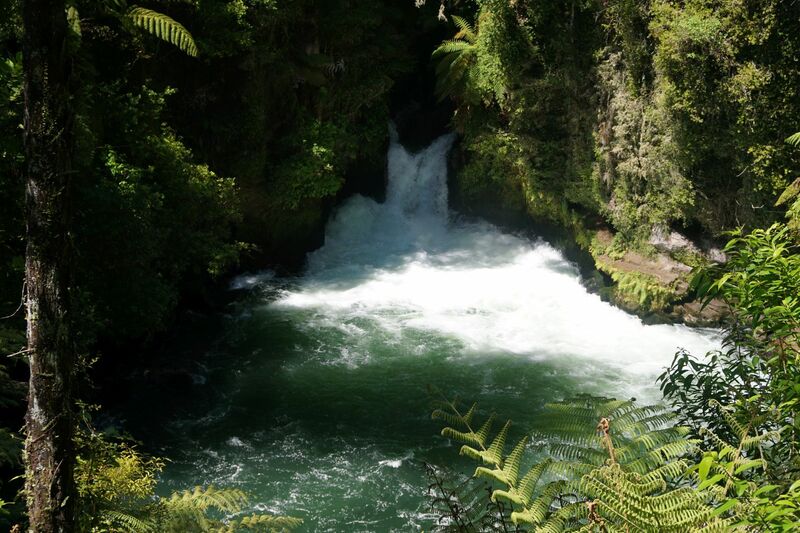 Down the Okere Falls, and the small waterfall below the main one. The remains of the power station can be seen on the view looking downstream. 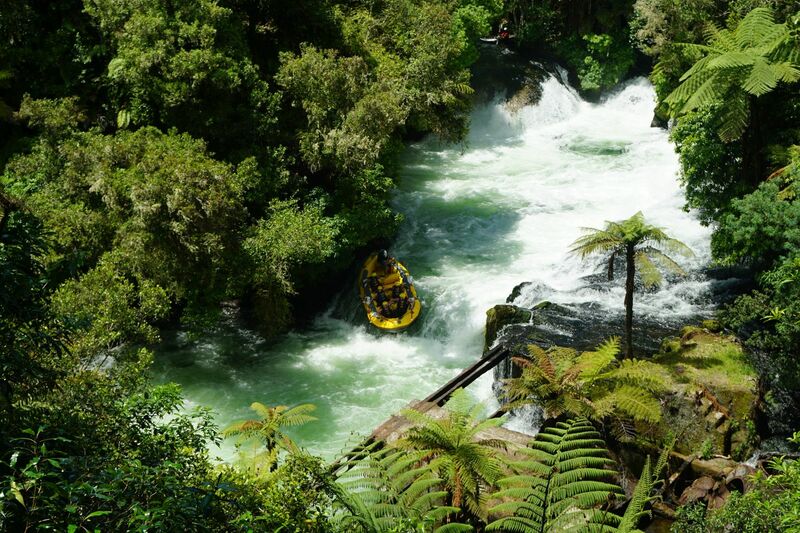 From the Okere Falls lookout near the parking area, the rafts can be clearly seen coming down the falls. And over the small waterfall next to the remains of the power station. 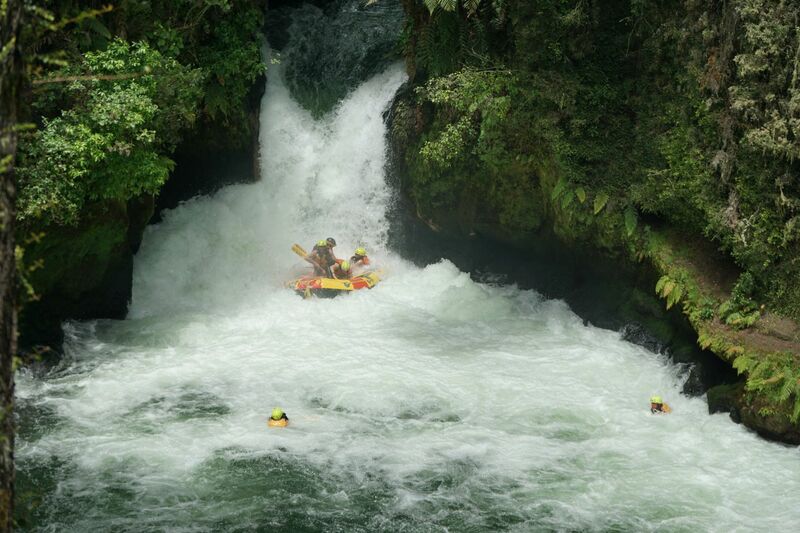 The Tutea Falls are narrow, and the rafts pick up enough speed to be completely submerged at the base of the falls. 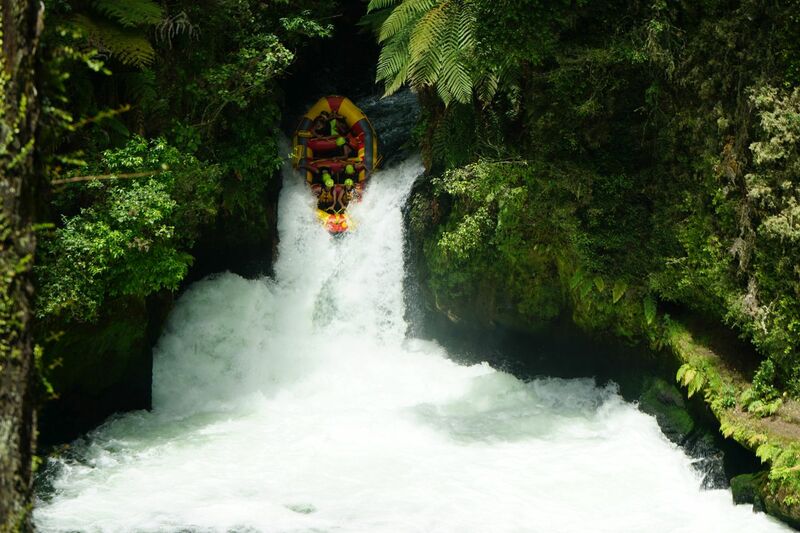 Several of the rafters often end up overboard. 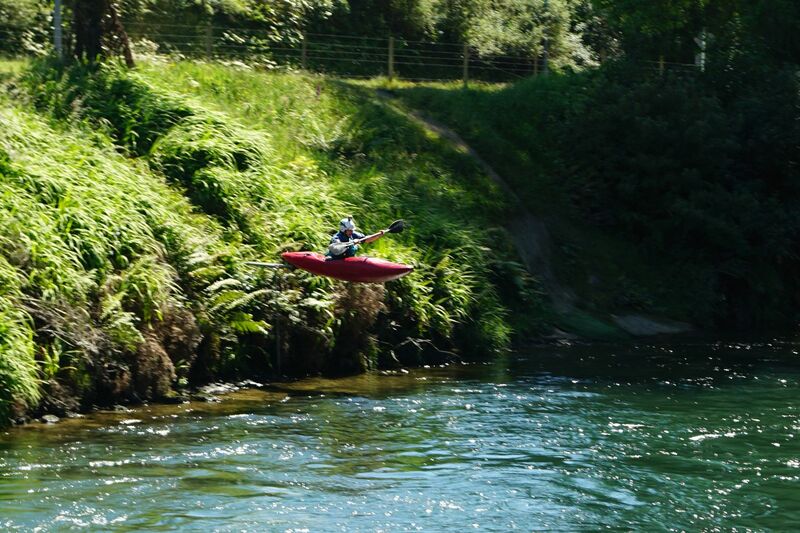 Coming up for air again after being completely submerged. 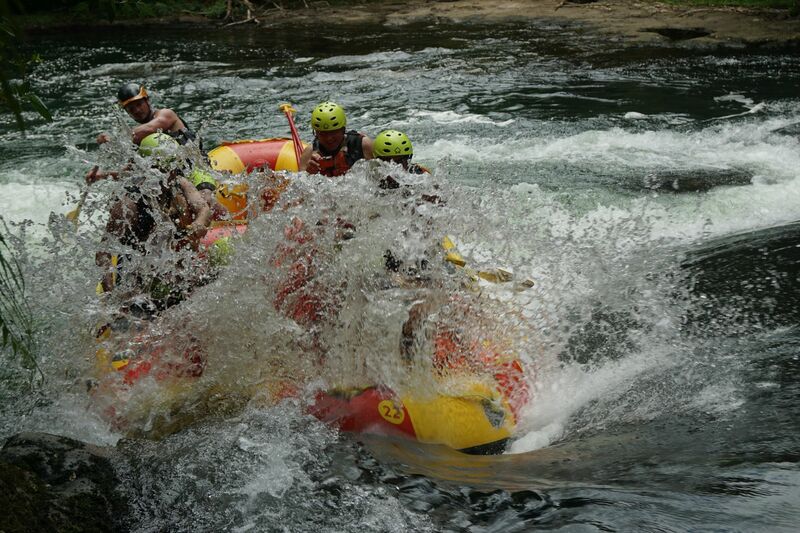 This time at least two of the passengers fell off during the plunge. Approaching the end of the trip near the Trout Pool. 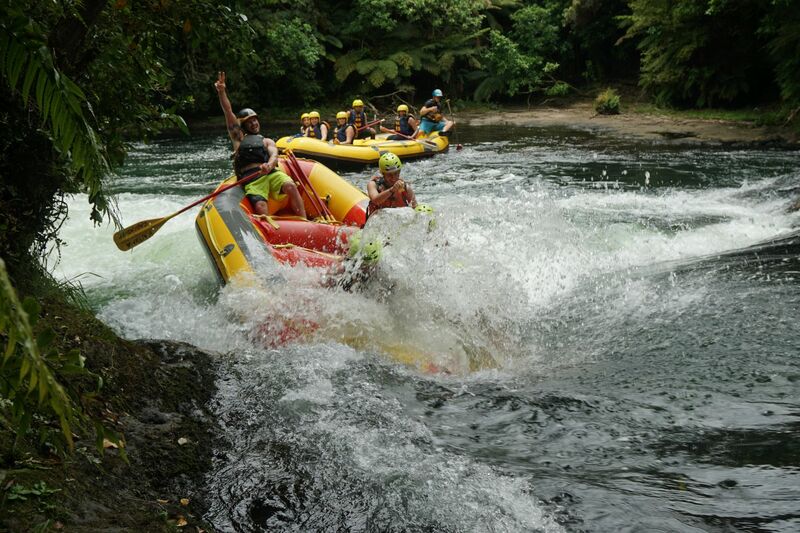 As a finale the rafts are pushed back under the last small waterfall, completely swamping the front end of the raft and the passengers seated at the front. 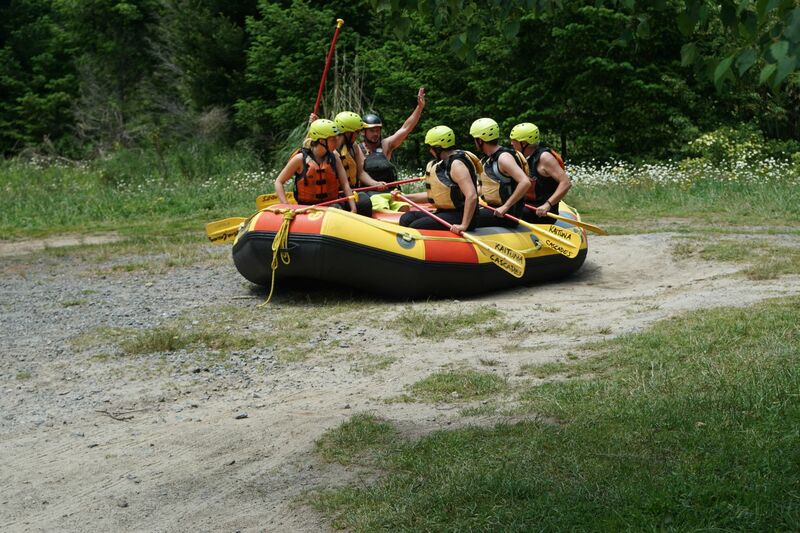 The ‘captain’ signal success after getting the front of the raft submerged. The rafts are removed by the Trout Pool, and carried up to the vehicle waiting at the carpark. 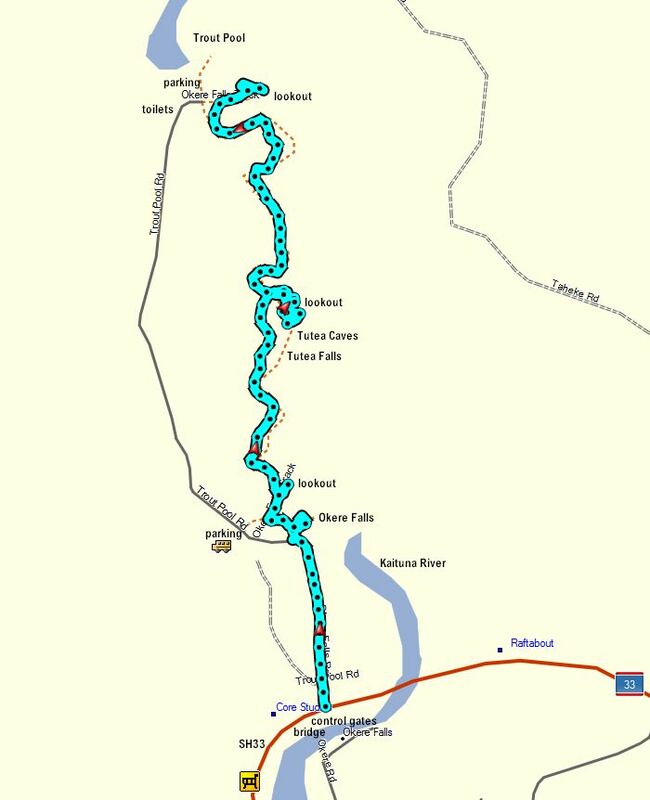 The GPS tracklog shows the walking track, including side tracks, and the short part of Trout Pool Road walked from the SH33 and the control gates. Total distance including the side tracks in one direction only was 3.2 km, and a time of 1 hour. 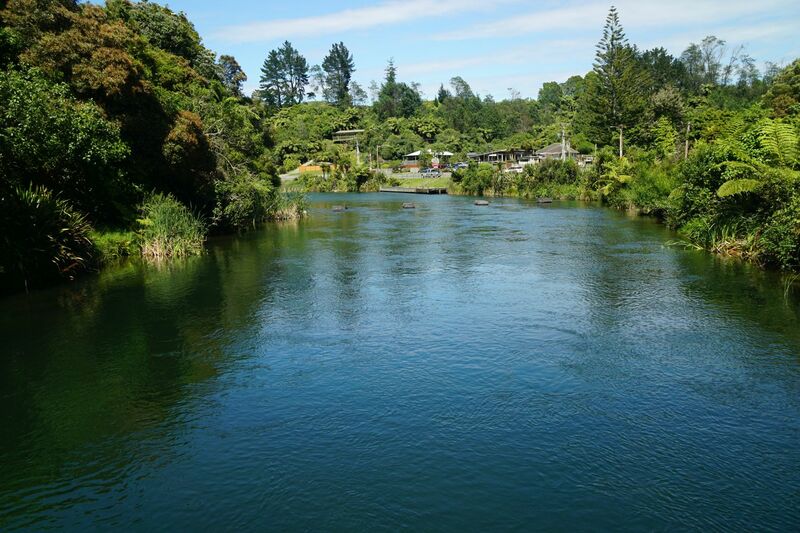 This included plenty of time for photos at the lookouts, the caves, and the power station, taking 40 minutes for this leg, and 20 minutes for the return from Trout Pool to SH33. 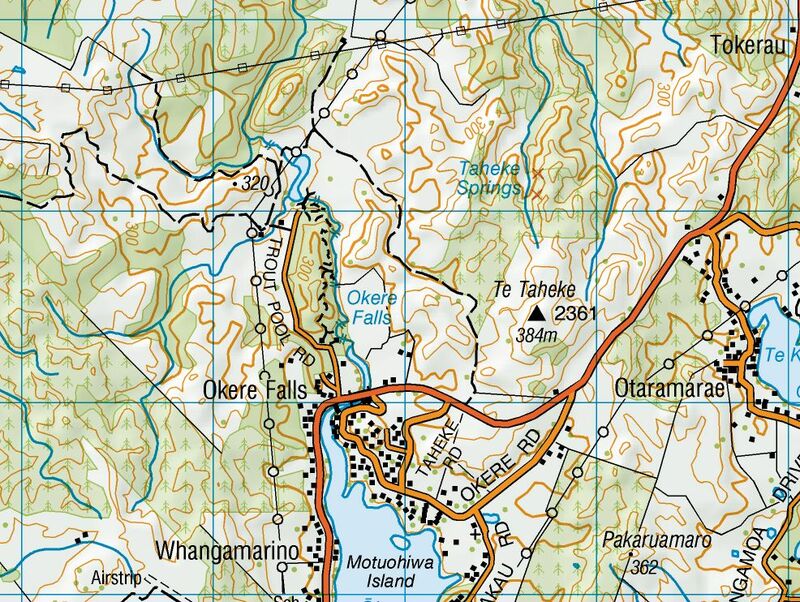 The first part of Trout Pool Road is shown on some maps as Okere Falls Road. 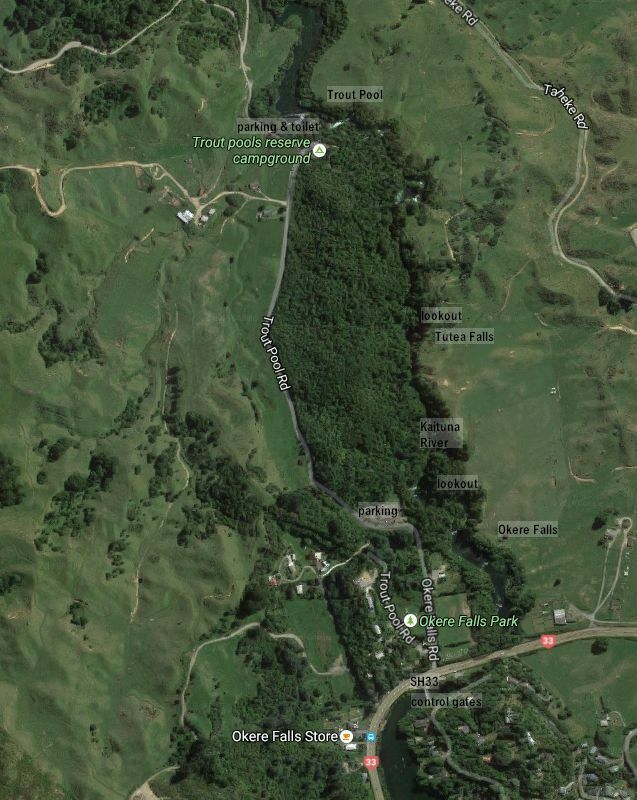 The aerial image, courtesy of Google Maps, shows the same area as the GPS tracklog. The topographic map excerpt shows the same are as above. The track was walked twice on December 4, 2016, and on several previous occasions.